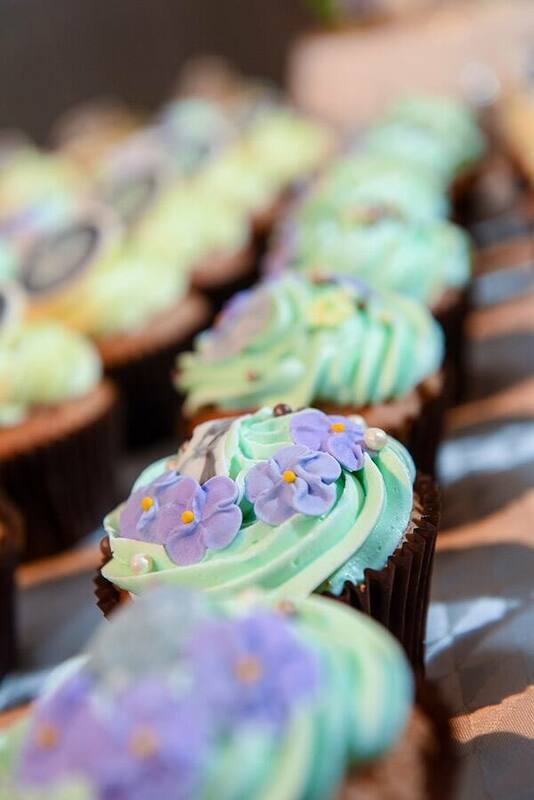 I am simply mad about this week's cake! 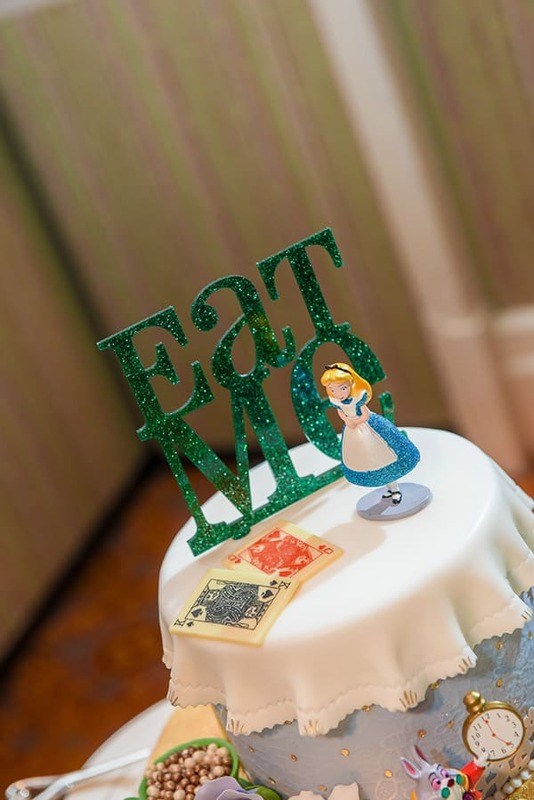 It is inspired by Alice and Wonderland and is bursting with great details from the film. 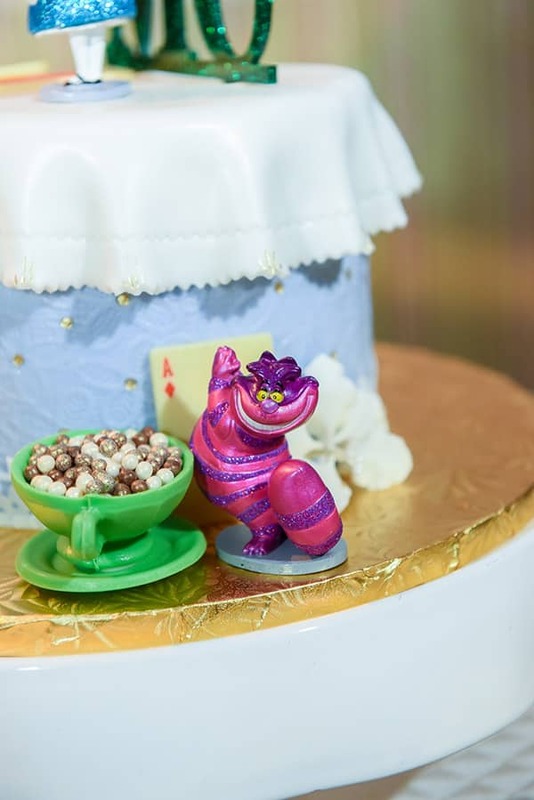 The cake topper invites all to enjoy while characters from the Queen of Hearts to the Cheshire Cat are scattered throughout the desserts. 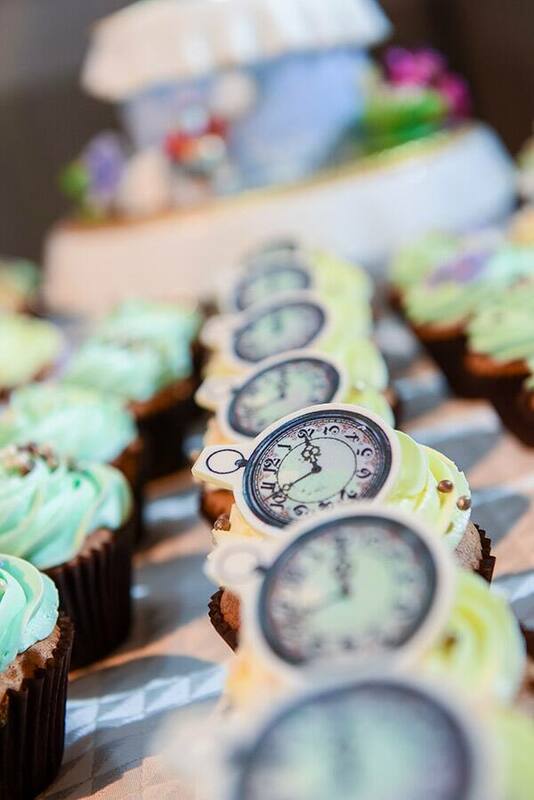 I love the clock details on the cupcakes and all the little touches that callback to the movie. 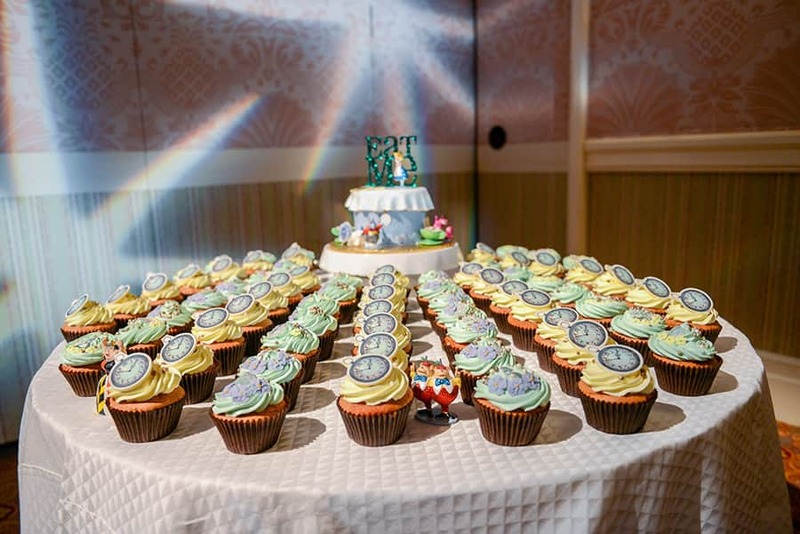 I don't think any of the guests will be late to get a slice of this cake!